LifeTime Benefit Term with Long Term Care combines permanent and portable insurance protection. That means this insurance can stay with you and your family even if you change jobs or terminate employment as long as premiums are paid as due. Additional optional riders are also available for Accidental Death Benefit and Waiver of Premium. With Lincoln Critical Illness Insurance, if you are diagnosed with a covered illness, you get a lump-sum cash benefit to use however you wish - even if you receive benefits from other insurance. Use it how you need it: for treatments not covered by other insurance or a dream vacation to celebrate your recovery. You decide. 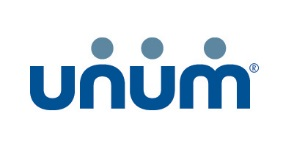 Unum’s individual short term disability insurance can help replace a portion of your income if you are unable to work due to a covered injury or illness. This means you can have some income during a time of need. LegalGUARD can ease the biggest stresses - finding and paying for a better lawyer. LegalGUARD is a legal protection plan presented by Nationwide® Insurance that provides support and protection for unexpected personal legal issues. Whether you’re dealing with an existing legal or financial concern, or preparing for an unexpected situation, a personal legal plan helps shield your family and savings. A legal plan also reduces the stress and worry of trying to find an attorney when it matters most. Unum’s accident insurance can pay benefits based on the injuries and treatments you sustain due to a covered accident, including fractures, dislocations, emergency room treatment and more. The benefit can help offset the out-of-pocket expenses that medical insurance does not pay, including deductibles and copays. Family coverage is available.